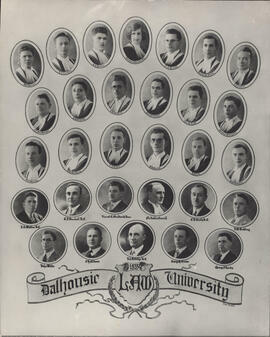 Item is a composite photograph of the 1894 Dalhousie University law faculty and class. 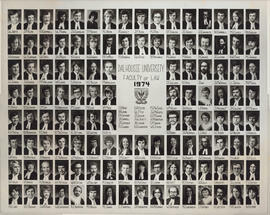 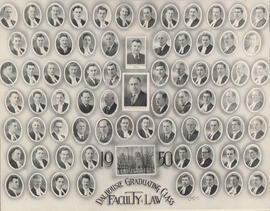 The photograph consists of portraits of faculty and class members arranged in three rows. 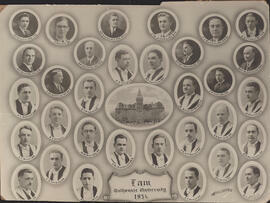 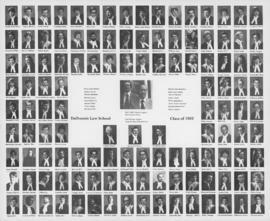 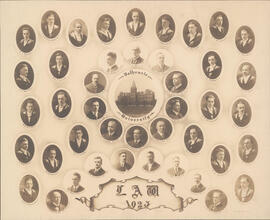 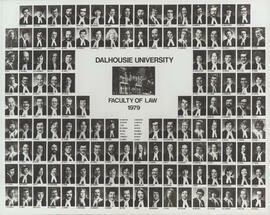 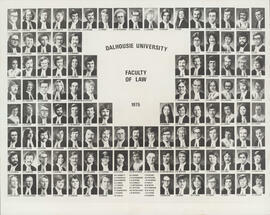 File contains a composite photograph of the Dalhousie University law faculty and class of 1891-1892. 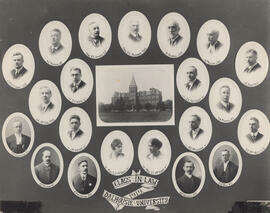 The photograph consists of portraits of the faculty and students arranged on a background that resembles lace. 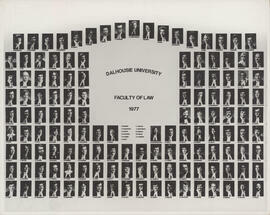 Item is a concept drawing of the Weldon Law Building at Dalhousie University by the John S. Holmes Studio. 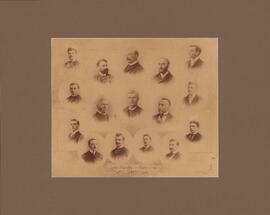 The item is a photographic reproduction of the drawing. 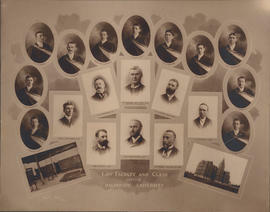 Archibald, Adams G, Weldon, A.M. 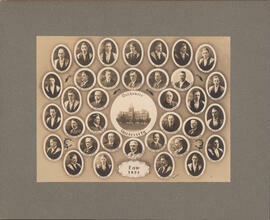 Item is a photograph of buildings along Brunkswick Street, Halifax, Nova Scotia, across the street from the citadel. 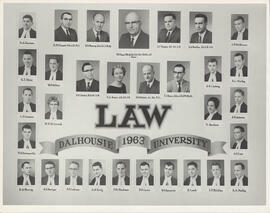 The buildings include the former Halifax High School, which was also the first home of the Dalhousie Law School. 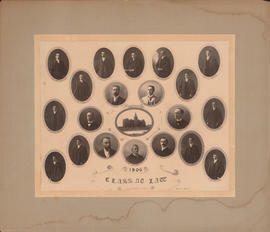 Item is a photograph of buildings along Brunswick Street, Halifax, Nova Scotia, across the street from the citadel. 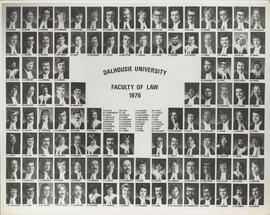 The buildings include the former Halifax High School, which was also the first home of the Dalhousie Law School. 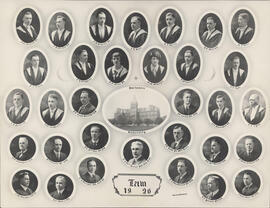 Item a photograph of buildings along Brunswick Street, Halifax, Nova Scotia, across the street from the citadel. 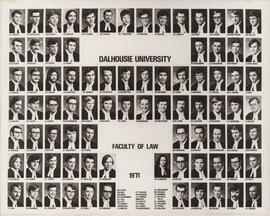 The buildings include the former Halifax High School, which was also the first home of the Dalhousie Law School. 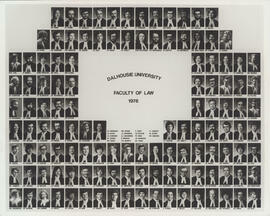 Item is a photograph of the Science Building and Macdonald Building, located on Dalhousie University's Studley campus. 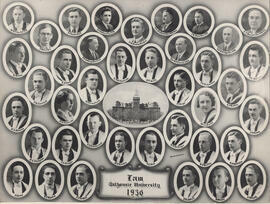 The photograph was taken before any other buildings were built on the campus. 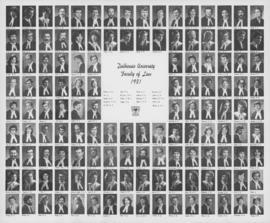 There is snow on the ground. 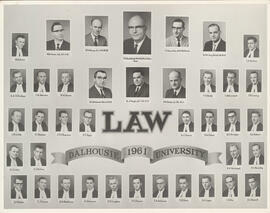 Item is a photograph of an international law lecture at the Dalhousie Faculty of Law. 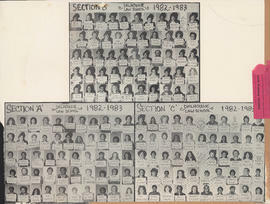 The photograph shows a lecturer standing at the front of a room full of students sitting at desks. 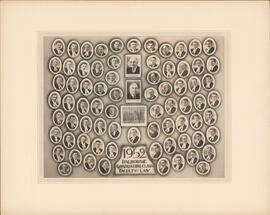 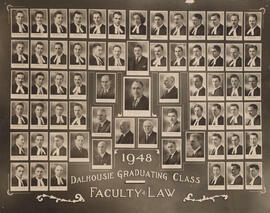 Item is a panoramic photograph of the Dalhousie University Faculty of Law convocation in 1952. 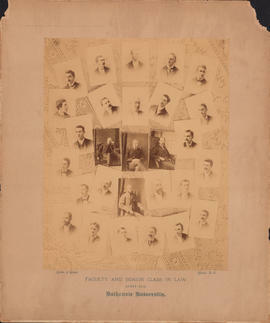 The photograph was used by Ansul in their "First Special Issue." 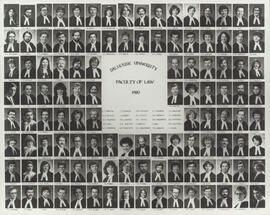 The photograph is a smaller copy of print: PC1 34.67.13 (A96).